In other words, when people think about you (or think about referring you to friend or client) what is it about you that defines your unique value proposition? What is special about what they have learned to expect from you, that gives them the confidence that you are a better choice than your competitors? And assuming that you have clearly defined your unique value proposition, how do you get your message out to the market, better than your competitors? In real estate, there is a unique opportunity to do both of these by showing your clients that you really care about helping them to take care of their particular home. So while your competitors are following a "hit it and quit it" approach, you can be the one that delivers value to them (and thereby enhances your personal brand value) by continuing to help them beyond the close of the sale. For example, while other real estate agents are just giving their clients a fruit basket as a closing gift, think how much more value it would be to a new homeowner for them to be getting on-going personalized home care reminders and tips from you. And for this example, which approach do you think makes a clearer statement of what you stand for, and helps you to stand out over time? Regarding standing out more broadly, the key here is to be clearly delivering your unique value proposition across multiple communication channels: social media; email; web; mobile; personal outreach, etc. Not just to cast a wider net, but to reinforce your message to your clients and prospects by reminding them of your brand value through several different points of connection with them. There is no substitute for being competent and working hard at real estate. 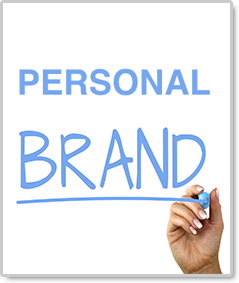 But by building your personal brand, you will be able to stand out . . . and above . . . your competition for growing your business.